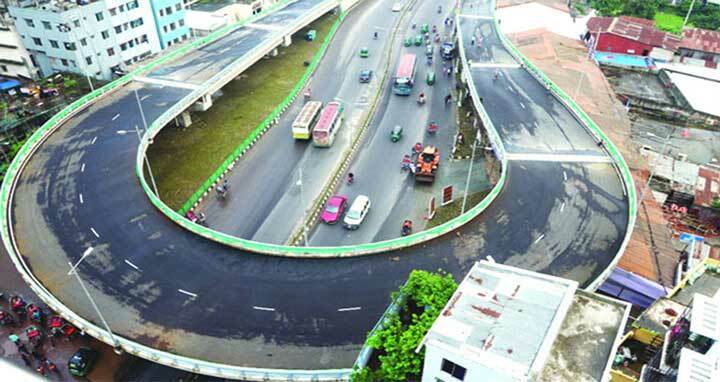 Dhaka, 28 July, Abnews: The much-awaited Badda U-loop under Hatirjheel integrated development project was opened for traffic on Saturday. Prime Minister Sheikh Hasina inaugurated the U-loop at 5:00pm. According to Rajdhani Unnayan Kartripakkha, the U-loop is 450-metre long and 10-metre wide. It was built at an estimated cost of Tk 40 crore. The 17 Corps Engineer Battalion of Bangladesh Army worked to implement the project. The construction work is being conducted by Spectra Engineers Limited. The construction of two U-loops was primarily initiated in the capital to ease traffic movement—one at Rampura which has been in operation since June 25, 2017. After the inauguration, the U-loop will be opened for all. Centering visit of Prime Minister Sheikh Hasina, Dhaka Metropolitan Police (DMP) took special security measures in Badda area.